Marcelo is a 2-Time MLS Champion and is originally from Brazil. He has played professionally in Brazil, Sweden, Poland and the United States. 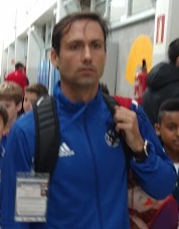 Marcelo is a USSF licensed coach and currently works in the Arlington Soccer Development Academy Program. His full bio can be found here.